My favorite cereal is Lucky Charms! Karan is most known starring as Ravi, one of the newly adopted children into the ultra-rich Ross family on the hit Disney channel series “Jessie” opposite Debby Ryan, Peyton List, Cameron Boyce and Skai Jackson. His character Ravi is a new immigrant to the US, and struggles to adapt to his new surroundings while still trying to hold onto his religion and Indian culture. 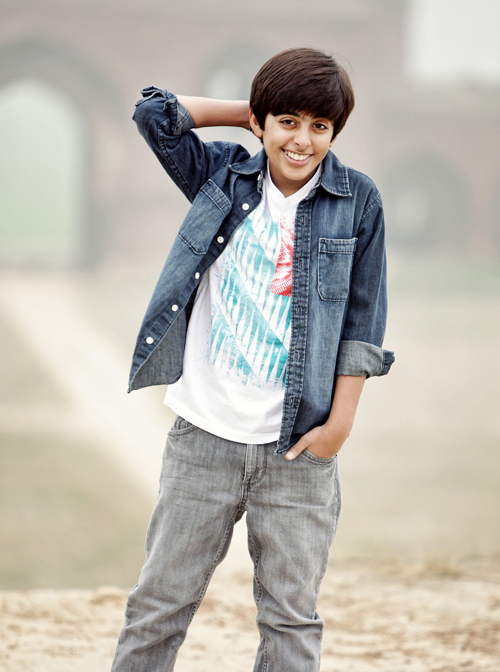 Karan, whose family is originally from the state of Punjab, India, understands the importance of portraying the first ever series regular Indian character on The Disney Channel. He is helping the channel expand culturally, while also helping to educate viewers on the Indian culture and religions. He has also appeared on Disney’s “Austin & Ally” [as Ravi] and has also voiced the character of Prince Zandar in “Sofia the First,” also for Disney. Karan is also well known for his starring role as Chirag Gupta in Diary of a Wimpy Kid, Diary of a Wimpy Kid: Roderick Rules and Diary of a Wimpy Kid: Dog Days. Karan also recently voiced the character of Mason, in Mr. Peabody and Sherman which is slated for release in March 2014.